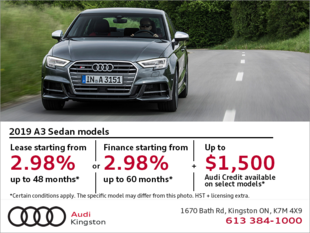 At Audi of Kingston, helping you save money is our ultimate priority. 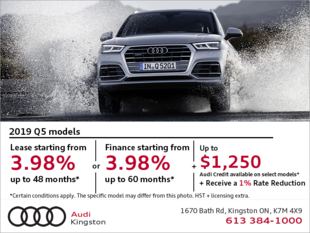 We want to ensure that you get the most bang for your buck at Audi of Kingston, and that’s why we always strive to offer great rebates and special deals in every department. 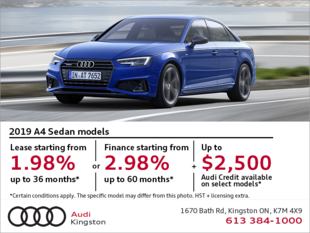 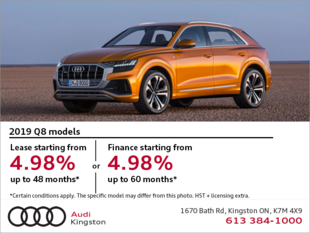 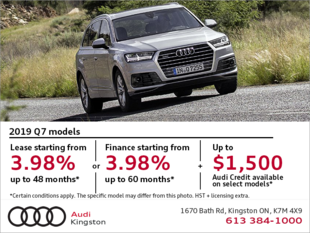 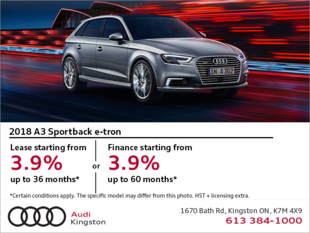 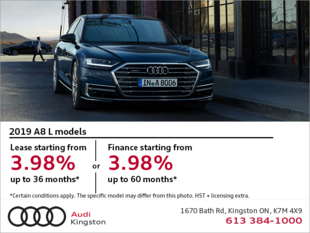 Audi of Kingston has a wide range of special offers and deals on all of our new and pre-owned Audi vehicles in Kingston. 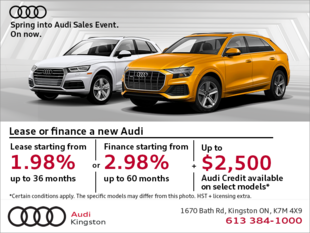 From special lease and financing rates on our new vehicles to low-interest financing and special offers on our pre-owned vehicles, we've got you covered at Audi of Kingston. 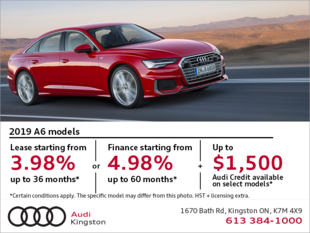 We also offer special discounts on all of our after-sales services including parts and accessories, detailing, winter and summer tires, and maintenance and repairs. 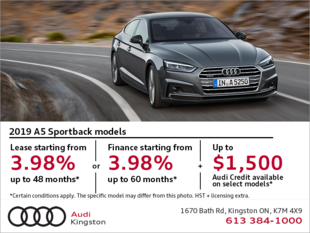 To learn more about our extensive special offers on all of our products and services, check this page often, or contact us today! 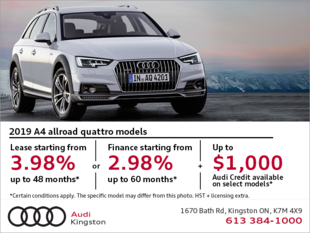 To learn more about our after-sales services and products, contact us today at Audi of Kingston in Kingston!